Most biographies of famous historical figures often seem to start at an immediate compromise with the reader—struggling to negotiate between the subject’s public reputation, contextual history, and yet still deliver an entertaining read without resorting to sensationalist storytelling that may distort the reality of the events. In biographies of infamous figures, especially, authors often have a tendency to present the subject not unlike a bad horror movie character—delivering cheap scares and newsreel highlights of a criminal’s life that exploit the gore of the crimes, rather than breaking down the intertwining events of the subject’s historical backdrop that may have nurtured their life choices. In this respect, The Life and Times of Charles Manson separates itself from the vast number of works written not only about such notorious figures, but one of the most notorious of all—Charlie Manson—by delivering an incredible read that still breaks down in clear contextual detail the confluence of this particular time in history and Manson’s own life that paved the way for one of the most bizarre, shocking, and perplexing crime waves in American history. The next few chapters further describe Manson’s perpetual path of self-destruction; specifically, his inability to stay out of institutional life and propensity for manipulating people around him. Manson’s modus operandi quickly reveals itself, and a looming dread expands over the next few chapters as the early formation of the Family grows with ostensibly innocent beginnings. Guinn continually parses in just enough description of the popular movements, incidents, and cultural attitudes that parallel Manson’s own nightmarish distortions of such historical hallmarks. 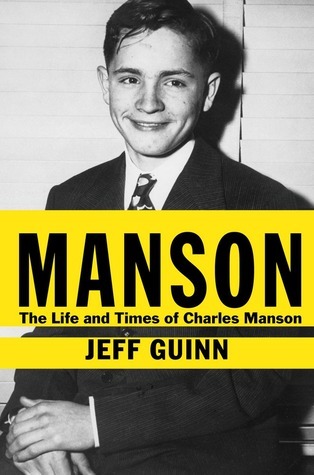 More importantly, Guinn populates Manson’s narrative with rich characterization and similarly detailed background history of the supporting cast that were as responsible, if not more so, as the catalysts for the crimes often solely attributed to the Family figurehead. In doing so, Guinn demystifies so much of the false propagation of Manson as the calculating, conniving mastermind that has ballooned beyond control in the eyes of the public. Instead, with impressive aplomb, Guinn manages to simultaneously describe Manson’s: unbelievably outlandish teachings filtered through a distorted logic of current events, the fear-based tactics employed to ensure his followers’ unwavering loyalty, and the insatiable impulse for fame that compelled his motives since childhood. As the best biographies are capable of achieving, the reader finishes the narrative with a starkly different understanding of the figure in question. 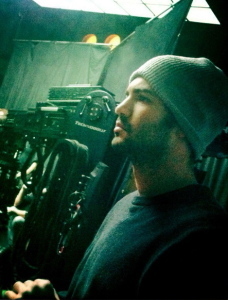 While all of Manson’s horrific inclinations and commitment to his grotesque world vision are not shied away from, Guinn helps deconstruct Manson’s sometimes incomprehensible line of thought, mostly involving either fear for his own personal safety, almost child-like fear for being ignored (in terms of his failed musical career), or just plain racism that charged most of his plans—and how it was the confluence of all the above that concluded in the Tate-LaBianca murders. Nonetheless, Guinn’s actual writing remains compelling as ever. The chapters detailing the Tate murders are wrought with palpable tension and incredibly vivid descriptions that situate the reader directly into the horrific setting with an oppressive sense of verisimilitude. While my understand was quite murky into the actual machinations of how the Black Panthers, Helter Skelter, the Beach Boys, and Sharon Tate all exactly played their part, Guinn’s writing helps propels the reader through Manson’s puzzling thought process and convergence of these seemingly separate elements that all aligned for one of the most infamous crimes in American consciousness. As a result, The Life and Times of Charles Manson weaves an incredibly compelling narrative that manages to both deliver a page-turning read and succinctly explain the various elements that composed the Manson myth, while also dispelling so much of the mystique previously constructed in the public image of the man. This entry was posted in Literary Criticism and tagged biography, Horror on November 3, 2014 by Nick Yarborough.